Tony Fairweather (second from left) next to Member for Eastern Victoria Harriet Shing and Premier Daniel Andrews. The plant will be capable of producing 2,400 vehicles per year at full production, employing around 500 people and producing annual revenue of AUD$200 million - $240 million. "This investment will see the Latrobe Valley rightly called the capital of electric vehicle manufacturing in Australia," Victorian Premier Daniel Andrews said at the announcement. SEA Electric has been at the forefront of electric technology locally. Most recently its product was showcased at the launch of an electric waste truck for Victorian council City of Casey. Companies such as DHL, Woolworths and Kings Transport have also been trialling its vehicles. Speaking to ABC magazine's sister publication ATN, managing director Tony Fairweather says the announcement marks, "an opportunity for a range of reasons, so it sits really well with us and the government". 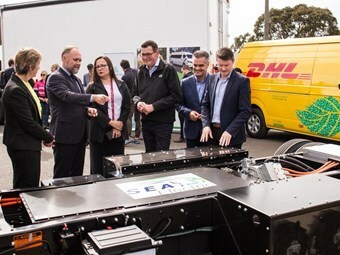 "We’re really excited about the opportunity of establishing an EV assembly facility at the Latrobe Valley – not just for being able to employ hundreds of local resident, but also to help facilitate and transition some of the Victorian automotive components suppliers into the EV segment to be able to supply us and others – and overseas in the future." SEA-Drive suits commercial vans, commuter buses and smaller trucks. The technology for prime movers and urban buses is still developing and doesn’t yet have the range (around 250km per charge) to cover Australia’s vast terrains without sophisticated rapid charging networks. The company also boasts two models of its own: the E4V van and EV10 medium-duty truck. 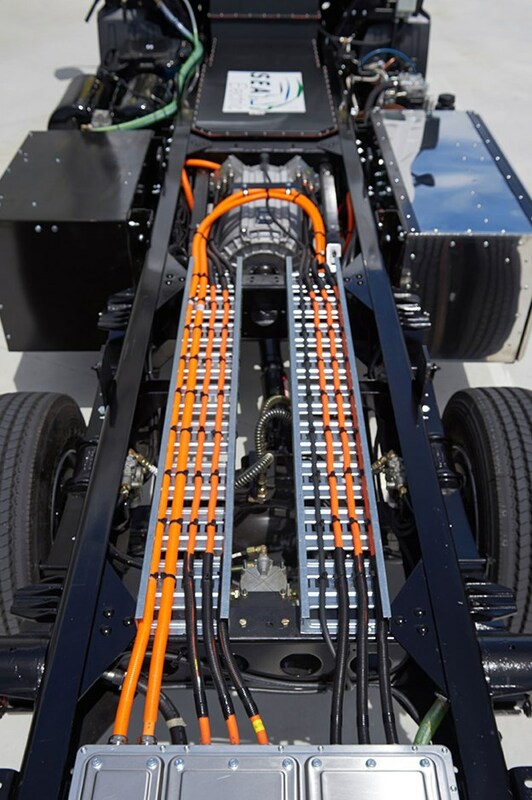 "We develop five 100 per cent electric drivetrains for commercial vehicles: from the smallest delivery-type vehicle like a van to a 23,500kg GVM (gross vehicle mass) rubbish trucks and concrete mixers," Fairweather said. "SEA-Drive 70 fits into an exclusive van product that we have, which is our completely built up (CBU) product – we’ll be assembling and distributing that from the Latrobe Valley." While the announcement was just the beginning of the Latrobe foray, SEA Electric is currently headquartered in Melbourne’s south-east suburb of Dandenong, where it will continue its operations and commence training new personnel in preparation for production in the Latrobe Valley. "We’ve already got land identified now. We intend to build on a 20,000-square-metre piece of land and build somewhere around 10-12,000sqm under roof," Fairweather said. "Now that the announcement has been made, we can move forward with securing and preparing that. Realistically, it’s 12-18 months before we have any product off the assembly line. "During the transitional period - because there are only 120km between Latrobe and our other site in Dandenong - we have already started the process of recruiting Latrobe Valley personnel to travel to Dandenong in the interim for training and development purposes until such time as the new facility is ready." It's a move that has attracted widespread support, including from the state's non-government environment organisation, Environment Victoria. "The SEA plant will provide more than the 450 jobs that Hazelwood mine and power station directly employed, which highlights the scale of the new investment. The electric vehicle factory gives young people a real chance to stay in the local area and apply their skills," he says. "The demand for electric vehicles is only going to grow, meaning these jobs should be around for decades to come." Australian EV charging network company Chargefox recently raised $15 million to enable it to commence building Australia's largest ultra-rapid network of charging stations. "These ultra-rapid charging stations will be open to all EVs and charging time will be quicker, with up to 400km of range delivered in 15 minutes," it stated. "The chargers will be capable of power output of at least 150kW and up to 350kW, which will be the fastest of any charger currently available in Australia." 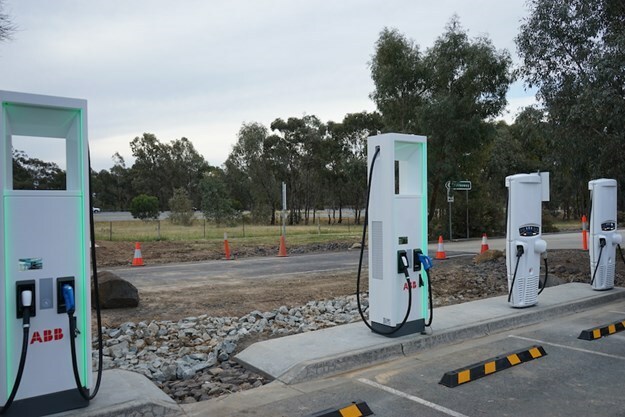 In the initial rollout, Chargefox plans to secure 21 locations for the network – the first two at Victorian towns Euroa and Barnawartha North, following government funding. As explained by SEA Electric: "The SEA-Drive™ 70 model has been created for adoption by 5m-7m delivery vans and minibuses. It operates with a 70kWh battery pack, mounted below floor level so as not to impact on floor space in the rear." "A 70kW (continuous power) Permanent Magnet motor, providing 340Nm of continuous torque, drives the vehicle, allowing 0-50km/h in 5 seconds and a speed limited top speed of 100km/h. "A 22kW integrated charger allows full charge in under 4 hours, with both 3 phase and 240v options. Furthermore, a massive 25 per cent gradient can be achieved. The SEA-Drive™ 70 powers the SEA E4V – 6m delivery van and minibus."